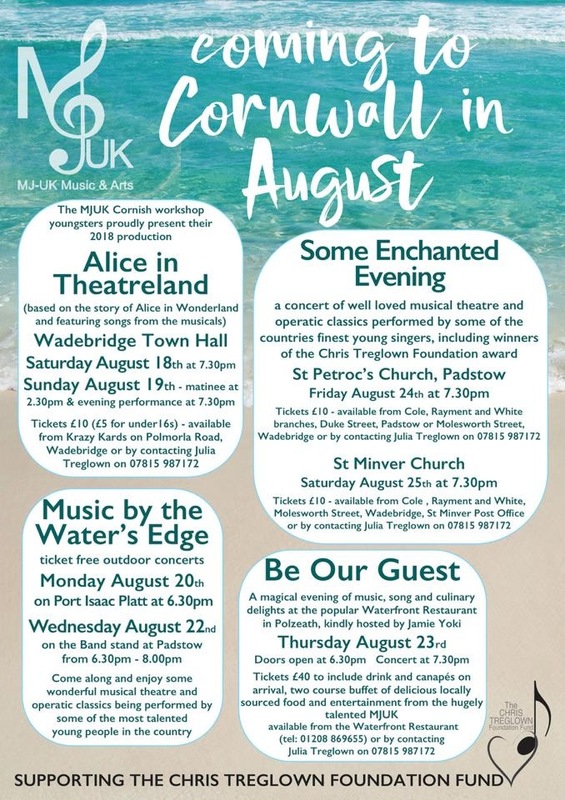 Some Enchanted Evening: A concert of musical theatre and operatic classics by some of the countries finest young singers, including winners of the Chris Treglown Foundation Award. St Minver Church, Saturday August 24th at 7.30pm. Tickets from St Minver Post office.